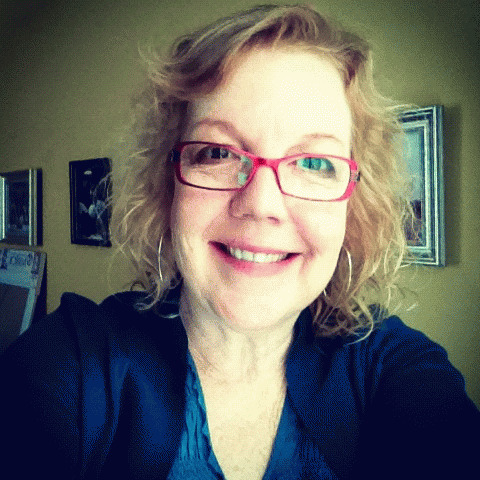 My guest today is freelance writer, Katy Read. Welcome to OpEdNews, Katy. JB: Your article, The Major Life Regrets of a Stay-at-Home Mom, was reposted by Alternet this morning. I understand there's a funny story behind the posting of your story. Please share it with our readers. KR: Thank you, Joan! It's a pleasure to be here. Yeah, funny story -- this essay actually originally ran on Salon in January 2011. Last week, I was pleased to see that Salon, for reasons I don't know, posted a link to it on Twitter and Facebook. And then a few days later, it popped up on Alternet, which has a cooperative sharing relationship with Salon. So it's a bit out of date now, almost three years later. Still, I'm happy to see the essay get an unexpected second life. I got a lot of responses the first time around from women (and a few men) who like me had chosen to leave full-time work in order to be with their kids and now, for one reason or another -- usually divorce, but sometimes a partner's death, disability or job loss -- found themselves in dire financial straits. Most seemed to appreciate that someone was talking publicly about this problem. So last week, after it popped up again in Salon's tweets and then on Alternet, there came a fresh wave of responses, again often from people in similar situations. The problem definitely has not gone away in the recession's aftermath. JB: So, your article got another lease on life. Let's go back to the specific circumstances that caused you to write it in the first place, since many of our readers have not read it, either back in 2011 or now. What was going on in your life? KR: I was divorced, underemployed and terrified about my financial future. Fifteen years earlier, when my sons were six months old and two years old, I had left my full-time job as a newspaper reporter. I became a freelance writer-slash-stay-at-home mother, with my sons in daycare three afternoons a week. It seemed like a great arrangement for everyone in the family: my kids had me home most of the time; my husband could focus on his job; and I got plenty of time with the kids while also advancing professionally and creatively. The only catch was that I wasn't bringing in much money. Then in 2008, my husband and I split up. We had moved to Chicago a couple of years earlier for my husband's job, but then the kids and I moved back to my hometown, Minneapolis. So I had full physical custody of them (though my ex paid child support and some alimony). That's when the recession hit. The newspaper industry had already been imploding and shedding jobs even before that. I was old enough that my age and even experience felt like liabilities; I couldn't compete for top-scale jobs because of the gap in my resumes but was considered overqualified for more entry-level work. I sent out countless resumes, rarely getting so much as a reply. JB: How did you survive? What did you do? KR: In a sad bit of timing, my mother died of Alzheimer's a few months before we moved. She'd retired a few years earlier after a long career in advertising and had some savings. She also had a long-term-care insurance policy that paid for her living expenses toward the end. So she was able to leave some savings to my brother and me. How ironic that I got by, after not working full time, thanks to my mother, who had. Also, my ex-husband and I had made some money selling our first house, just before the housing bubble popped (though we lost some on our second, post-pop). The recession slashed about a third from my savings, but I gradually sold off chunks of the remaining investments at recessionary lows, so at least for the moment we lived a reasonably comfortable life. I also kept freelancing, which was sometimes well-paying but often not. I got a part-time job as a sales clerk at Macy's for just over minimum wage, and a part-time job for a few dollars more moderating online comments for the local paper. And of course there was the aforementioned child support and alimony. I argue whenever anybody says that the choice to stay at home is available only to some ultra-elite sliver of women; I know plenty of ordinary middle-class SAHMs who just live more modestly. (The misconception is fostered, I think, by all the media stories about super-successful women becoming SAHMs -- the fact is, women ditching glamorous high-paying jobs make for more dramatic media stories.) However, I'm fully aware that I was able to make some of the choices I did thanks to a certain degree of solid middle-class privilege. View All 3 Articles in "Divorce"